Please review the below disclosures for important general and state-specific information relating to the University of Louisville's online programs before choosing to enroll from a state outside of Kentucky. The University of Louisville seeks to deliver all of our online programs in every state. We work through the State Authorization Reciprocity Agreement (SARA) process and with states directly to ensure that when authorization or licensure is necessary, required approvals are obtained. 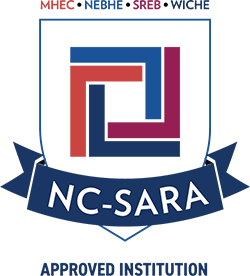 SARA is a voluntary agreement that allows states and institutions to offer distance education in other participating states so long as the institution adheres to certain quality and consumer protection standards. More information on SARA can be found here. Kentucky is a member of SARA and UofL is an approved SARA institution. While we do monitor the laws in each state, authorization of distance education is a dynamic environment and prospective students should check this site often for updates. The University of Louisville is currently authorized, licensed, registered, exempt or not subject to approval in all states, with the exceptions noted below in the state-by-state list. It is the student’s responsibility to understand current circumstances or special requirements in their state of residence. you may not be able to complete field placements (practicum, internship, clerkship, etc.) in that state. This could affect licensure or recognition of the degree to meet particular requirements in that state. Therefore, if you decide to enroll in any of the University of Louisville's restricted programs, or if you move during the course of your studies to a state where your program is restricted, please be aware that you are taking a risk that you may not be able to complete that program or use any of the credit earned in that program should you decide to pursue licensing in that field in that state. Please note that the risks listed above are not exhaustive. Please verify with your state’s professional licensing board that your plans are not impacted by these risks. Important Note for Prospective Students: If you are considering an academic program from the University of Louisville that leads to a professional license in your state, it is highly recommended that you first seek guidance from the appropriate licensing agency in your home state BEFORE beginning the academic program located outside your state. Professional licensure and certification are regulated individually by each state’s respective licensing agency or agencies and no two are exactly alike. Prospective students are responsible for contacting the appropriate licensing board in their home state to confirm whether a University of Louisville program will meet the requirements for licensure or certification in that state. The teacher certification programs at the University of Louisville are designed for Kentucky teachers only. Out-of-state candidates who are certified teachers should be advised that we cannot guarantee these programs will meet licensure, salary, advancement or other requirements in their state. As part of the admission process, we will require a written statement confirming their interest in the program for personal development and they understand the program is designed to meet Kentucky certification requirements only. For more information, please contact Betty Hampton, Director of Graduate Student Services, at 502-852-0411 or betty.hampton@louisville.edu. Whether you will be able to complete field placements (practicum, internship, etc.) in that country. This could affect licensure or recognition of the degree to meet particular requirements in that country. Therefore, if you decide to enroll in any of the University of Louisville's programs from a country other than the United States, or if you move to another country during the course of your studies, please be aware that you are taking a risk that you may not be able to complete that program or use any of the credit earned in that program should you decide to pursue employment or licensing in that field in that country. Please note that the risks listed above are not exhaustive. Please verify with your country’s professional licensing board that your plans are not impacted by these risks. Students seeking to resolve a complaint regarding their online program should visit our Student Complaint Procedure page. Please click the drop down button for your state to view state-specific disclosures and to find information concerning programs leading to professional licensure in your state. The University of Louisville is approved to offer programs to residents of Alabama through the State Authorization Reciprocity Agreement (SARA). Initial approval for institutional participation was granted on January 10, 2017. The University of Louisville is approved to offer programs to residents of Alaska through the State Authorization Reciprocity Agreement (SARA). Initial approval for institutional participation was granted on January 10, 2017. The University of Louisville is approved to offer programs to residents of Arizona through the State Authorization Reciprocity Agreement (SARA). Initial approval for institutional participation was granted on January 10, 2017. Due to restrictions by the state Board of Nursing, the University of Louisville is unable to offer the RN to Bachelor of Science in Nursing program to Arizona residents at this time. The University of Louisville is approved to offer programs to residents of Arkansas the State Authorization Reciprocity Agreement (SARA). Initial approval for institutional participation was granted on January 10, 2017. As an out-of-state public institution, the University of Louisville is not subject to the regulations of the California Bureau of Private Postsecondary Education, thus Bureau approval for UofL to offer its programs to residents of California is not required. Therefore, UofL is in compliance with California regulations concerning postsecondary distance education and can offer its program to residents of California. The University of Louisville is approved to offer programs to residents of Colorado through the State Authorization Reciprocity Agreement (SARA). Initial approval for institutional participation was granted on January 10, 2017. The University of Louisville is approved to offer programs to residents of Connecticut through the State Authorization Reciprocity Agreement (SARA). Initial approval for institutional participation was granted on January 10, 2017. The University of Louisville is approved to offer programs to residents of Delaware through the State Authorization Reciprocity Agreement (SARA). Initial approval for institutional participation was granted on January 10, 2017. The University of Louisville is approved to offer programs to residents of District of Columbia through the State Authorization Reciprocity Agreement (SARA). Initial approval for institutional participation was granted on January 10, 2017. The University of Louisville does not have a physical presence in the state of Florida as defined by the Florida Commission for Independent Education. Thus, UofL is not required to obtain approval from the Commission to offers its online programs to residents of Florida. Therefore, UofL is in compliance with Florida regulations concerning postsecondary distance education and can offer its program to residents of Florida. The University of Louisville is approved to offer programs to residents of Georgia through the State Authorization Reciprocity Agreement (SARA). Initial approval for institutional participation was granted on January 10, 2017. The University of Louisville is approved to offer programs to residents of Hawaii through the State Authorization Reciprocity Agreement (SARA). Initial approval for institutional participation was granted on January 10, 2017. The University of Louisville is approved to offer programs to residents of Idaho through the State Authorization Reciprocity Agreement (SARA). Initial approval for institutional participation was granted on January 10, 2017. Due to restrictions by the state Board of Nursing, the University of Louisville is unable to offer the RN to Bachelor of Science in Nursing program to Idaho residents at this time. The University of Louisville is approved to offer programs to residents of Illinois through the State Authorization Reciprocity Agreement (SARA). Initial approval for institutional participation was granted on January 10, 2017. The University of Louisville is approved to offer programs to residents of Indiana through the State Authorization Reciprocity Agreement (SARA). Initial approval for institutional participation was granted on January 10, 2017. The University of Louisville is approved to offer programs to residents of Iowa through the State Authorization Reciprocity Agreement (SARA). Initial approval for institutional participation was granted on January 10, 2017. The University of Louisville is approved to offer programs to residents of Kansas through the State Authorization Reciprocity Agreement (SARA). Initial approval for institutional participation was granted on January 10, 2017. The University of Louisville, as a public institution in the state of Kentucky, is authorized by statute and the Kentucky Council on Postsecondary Education to offer its programs to residents of Kentucky. The University of Louisville is approved to offer programs to residents of Louisiana through the State Authorization Reciprocity Agreement (SARA). Initial approval for institutional participation was granted on January 10, 2017. The University of Louisville is approved to offer programs to residents of Maine through the State Authorization Reciprocity Agreement (SARA). Initial approval for institutional participation was granted on January 10, 2017. The University of Louisville is approved to offer programs to residents of Maryland through the State Authorization Reciprocity Agreement (SARA). Initial approval for institutional participation was granted on January 10, 2017. The University of Louisville does not have a physical presence in the Commonwealth of Massachusetts as defined by the Massachusetts Board of Higher Education. Thus, UofL is not required to obtain approval from the Board to offers its online programs to residents of Massachusetts. Therefore, UofL is in compliance with Massachusetts regulations concerning postsecondary distance education and can offer its program to residents of Massachusetts. The University of Louisville is approved to offer programs to residents of Michigan through the State Authorization Reciprocity Agreement (SARA). Initial approval for institutional participation was granted on January 10, 2017. The University of Louisville is approved to offer programs to residents of Minnesota through the State Authorization Reciprocity Agreement (SARA). Initial approval for institutional participation was granted on January 10, 2017. The University of Louisville is approved to offer programs to residents of Mississippi through the State Authorization Reciprocity Agreement (SARA). Initial approval for institutional participation was granted on January 10, 2017. The University of Louisville is approved to offer programs to residents of Missouri through the State Authorization Reciprocity Agreement (SARA). Initial approval for institutional participation was granted on January 10, 2017. The University of Louisville is approved to offer programs to residents of Montana through the State Authorization Reciprocity Agreement (SARA). Initial approval for institutional participation was granted on January 10, 2017. The University of Louisville is approved to offer programs to residents of Nebraska through the State Authorization Reciprocity Agreement (SARA). Initial approval for institutional participation was granted on January 10, 2017. The University of Louisville is approved to offer programs to residents of Nevada through the State Authorization Reciprocity Agreement (SARA). Initial approval for institutional participation was granted on January 10, 2017. The University of Louisville is approved to offer programs to residents of New Hampshire through the State Authorization Reciprocity Agreement (SARA). Initial approval for institutional participation was granted on January 10, 2017. The University of Louisville is approved to offer programs to residents of New Jersey through the State Authorization Reciprocity Agreement (SARA). Initial approval for institutional participation was granted on January 10, 2017. The University of Louisville is approved to offer programs to residents of New Mexico through the State Authorization Reciprocity Agreement (SARA). Initial approval for institutional participation was granted on January 10, 2017. The University of Louisville is approved to offer programs to residents of New York through the State Authorization Reciprocity Agreement (SARA). Initial approval for institutional participation was granted on January 10, 2017. The University of Louisville is approved to offer programs to residents of North Carolina through the State Authorization Reciprocity Agreement (SARA). Initial approval for institutional participation was granted on January 10, 2017. The University of Louisville is approved to offer programs to residents of North Dakota through the State Authorization Reciprocity Agreement (SARA). Initial approval for institutional participation was granted on January 10, 2017. The University of Louisville is approved to offer programs to residents of Ohio through the State Authorization Reciprocity Agreement (SARA). Initial approval for institutional participation was granted on January 10, 2017. The University of Louisville is approved to offer programs to residents of Oklahoma through the State Authorization Reciprocity Agreement (SARA). Initial approval for institutional participation was granted on January 10, 2017. The University of Louisville is approved to offer programs to residents of Oregon through the State Authorization Reciprocity Agreement (SARA). Initial approval for institutional participation was granted on January 10, 2017. The University of Louisville is approved to offer programs to residents of Pennsylvania through the State Authorization Reciprocity Agreement (SARA). Initial approval for institutional participation was granted on January 10, 2017. The University of Louisville is approved to offer programs to residents of Rhode Island through the State Authorization Reciprocity Agreement (SARA). Initial approval for institutional participation was granted on January 10, 2017. The University of Louisville is approved to offer programs to residents of South Carolina through the State Authorization Reciprocity Agreement (SARA). Initial approval for institutional participation was granted on January 10, 2017. The University of Louisville is approved to offer programs to residents of South Dakota through the State Authorization Reciprocity Agreement (SARA). Initial approval for institutional participation was granted on January 10, 2017. The University of Louisville is approved to offer programs to residents of Tennessee through the State Authorization Reciprocity Agreement (SARA). Initial approval for institutional participation was granted on January 10, 2017. The University of Louisville is approved to offer programs to residents of Texas through the State Authorization Reciprocity Agreement (SARA). Initial approval for institutional participation was granted on January 10, 2017. The University of Louisville is approved to offer programs to residents of Utah through the State Authorization Reciprocity Agreement (SARA). Initial approval for institutional participation was granted on January 10, 2017. The University of Louisville is approved to offer programs to residents of Vermont through the State Authorization Reciprocity Agreement (SARA). Initial approval for institutional participation was granted on January 10, 2017. The University of Louisville is approved to offer programs to residents of Virginia through the State Authorization Reciprocity Agreement (SARA). Initial approval for institutional participation was granted on January 10, 2017. The University of Louisville is approved to offer programs to residents of Washington through through the State Authorization Reciprocity Agreement (SARA). Initial approval for institutional participation was granted on January 10, 2017. Due to restrictions by the state Board of Nursing, the University of Louisville is unable to offer the RN to Bachelor of Science in Nursing program to Washington residents at this time. This program is not intended to lead to educator certification. Educators are advised to contact their individual school districts as to whether this program may qualify for salary advancement. Eligibility for initial educator certification in Washington is based on completion of a state approved educator preparation program. This program is approved in Kentucky. Even though you may be residing in Washington while in this program, your application for educator certification in Washington will be processed as an out-of-state application. Go to http://pathway.pesb.wa.gov/outofstate for more information. Educators are advised to contact their individual school districts as to whether this program may qualify for salary advancement. The University of Louisville is approved to offer programs to residents of West Virginia through through the State Authorization Reciprocity Agreement (SARA). Initial approval for institutional participation was granted on January 10, 2017. The University of Louisville is approved to offer programs to residents of Wisconsin through through the State Authorization Reciprocity Agreement (SARA). Initial approval for institutional participation was granted on January 10, 2017. The University of Louisville is approved to offer programs to residents of Wyoming through through the State Authorization Reciprocity Agreement (SARA). Initial approval for institutional participation was granted on January 10, 2017.